Down in the depths of Starfleet Administration, a bright-eyed and optimistic Vice Admiral had an idea. While looking at a list of names of some of the brightest minds enlisted in Starfleet, he noticed a common theme: these officers earned top rankings in their classes but haven’t had the ability to promote to the high-level positions as they should have. Whether it was from old disciplinary actions or the lack of solid interpersonal skills or the inability to obtain the big name connections needed in order to receive the more high-profile assignments, the brilliant officers listed before him had all gotten lost in the cracks. After pulling some strings, the Admiral secured the mothballed Galaxy-class USS Centaurus of Obsidian Fleet’s Task Force 47-C and began to set in motion his grand experiment. The goal: give these misfit enlisted men and women the second chance they deserve to achieve grand success in Starfleet and discover what the galaxy has in store for them. 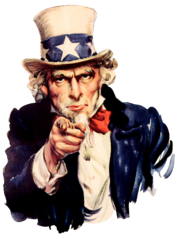 As famously said by the United States Government: WE WANT YOU! The USS Centaurus is seeking a crew of open-minded, creative, and fun people to round out our ragtag team of writers and push our storytelling to the next level. We are open to any and all applicants and characters (within reason) regardless of experience or skill level. Sorry for the delay in getting this going, but I was waiting for a decision from Task Force Command, that didn't materialize, so I'm moving ahead with the plot. It is with sincere regret that I must announce the passing of Steve/Remy on November 13th just past. You will all know him as Ensign Remmington (Remy) DuBare, our Cajun Helmsman. I am unsure of the exact cause of death, but those who have spoken to him know he was battling an illness in the weeks leading up to his departure "for a few days" just before the 13th. He leaves behind a wife and young son, who reached out to inform me of his passing. I have informed his wife of our collective sympathies and best wishes for the family. I would advise anyone with an open Joint Log with Remy to close it down at this time. I will be retiring his character into the honour roll of former officers at the end of the weekend. If you're interested in submitting a nomination, please go to the following link and follow the instructions wihtin the article. Levi’s lips curled up into a mischievous smirk as he read the name of his new Executive Officer.